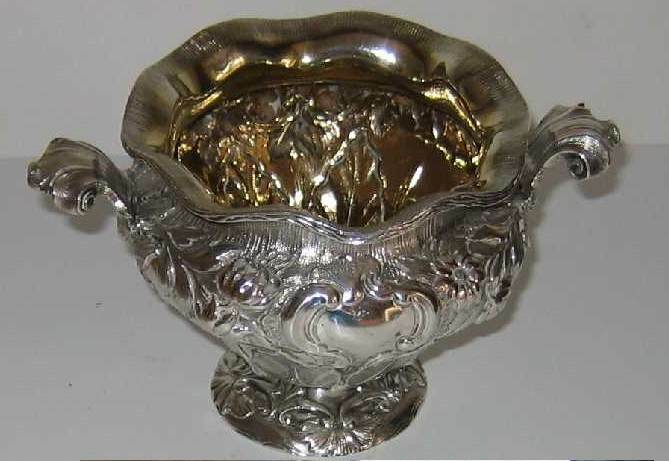 This bowl (probably a sugar bowl) has been manufactured in London in 1851 by the well known royal silversmith Robert Garrard. sovereign head of a young Queen Victoria (duty mark to prove the payment to the crown of the duty on silver imposed in 1784 and repealed in 1890). 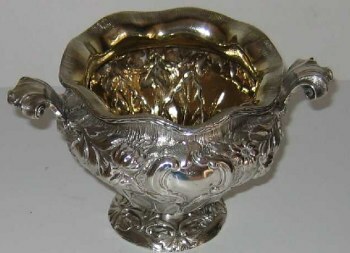 The bowl has its original internal gilding and is of extraordinary thickness. 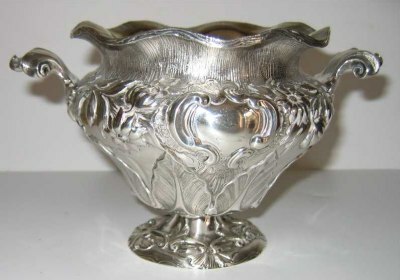 It was crafted in the floral style, very popular in the Victoria period (mainly between 1820 and 1850), with an interpretation mainly involving the shape of the bowl (see the rim and the handles) and not only the applied decoration. 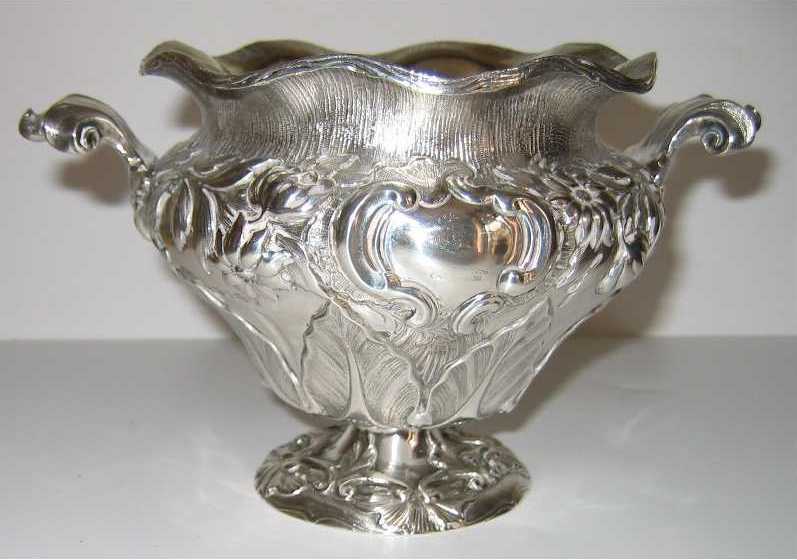 This was done only by a few number of very skilled and famous silversmith working in the Victorian period (e.g. Barnard and Fox families). The applied floral decoration was obtained by the embossing technique, with some chased parts and the background finished by a granular motif. 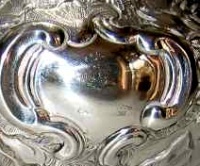 It is likely that a piece of such high level and quality was accompanying an extraordinary coffee and/or tea set, executed under commission for the London 'Great Exhibition' in 1851. 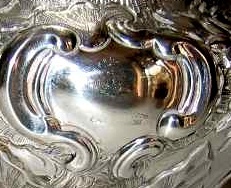 Unfortunately the original coat of arms engraved on the bowl is now almost completely erased by the polishing that the piece was submitted in the time. Dimension: high: 13 cm, wide (max): 20 cm; weight 530 g..